Diorific 995 Minuit. I have a tradition of giving myself little luxurious Birthday presents (like Chanel Taboo this year and Peridot two years ago). So I thought why not get one for the upcoming SoNailicous birthday too. 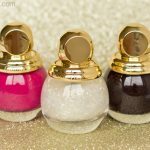 Of course, after writing about the Dior Golden Winter collection the choice was obvious – it had to be one of the new, limited edition Diorific shades! 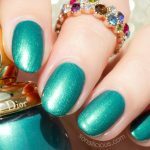 Diorific Minuit has all the qualities you’d expect from a luxury nail polish, great formula, easy application, glossy, fast drying and an absolutely gorgeous one of a kind shade. 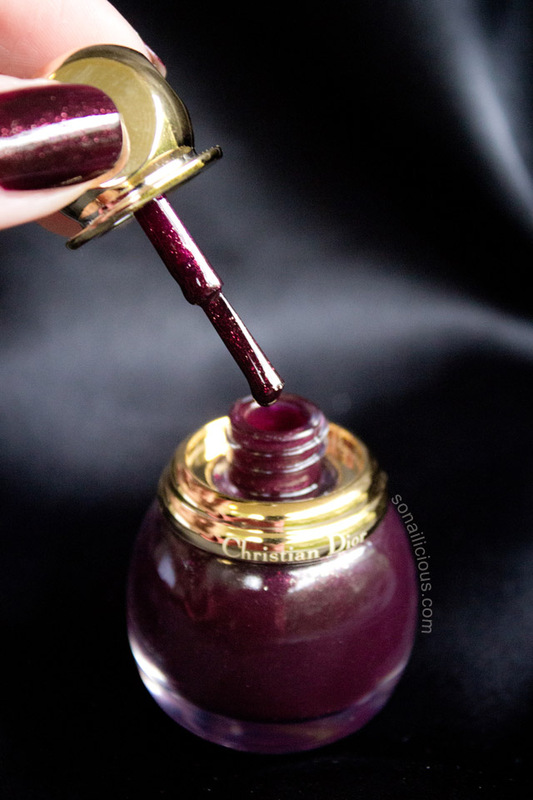 I already own over 40 different shades in deep wine, burgundy, and plum but Diorific Minuit is a cut above them all. The shade is so beautiful, you can’t stop looking at your nails… or toes, if you want to treat yourself to a luxury pedicure. 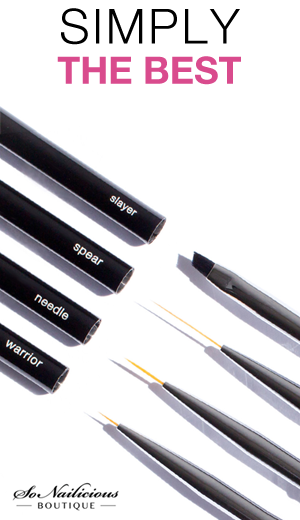 Formula: A fast drying, highly pigmented formula. One coat is enough to get even coverage but two coats are even better (pictured). 5-Free. Application: Great brush, a bit wider than usual but not as wide as an OPI brush for example. Makes application very easy. 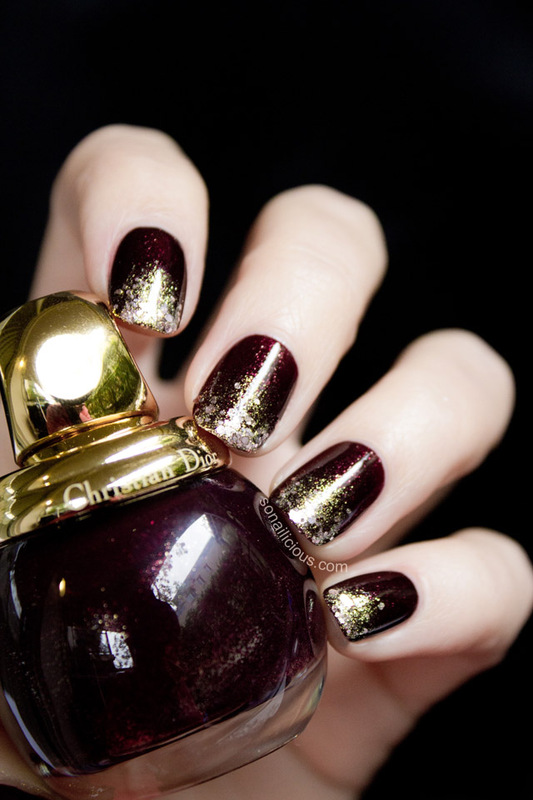 Finish: High gloss, deep red creme with subtle red and gold shimmer. Diorific Minuit V Chanel Taboo: While both are from the same family of deep reds, the two shades are very different. 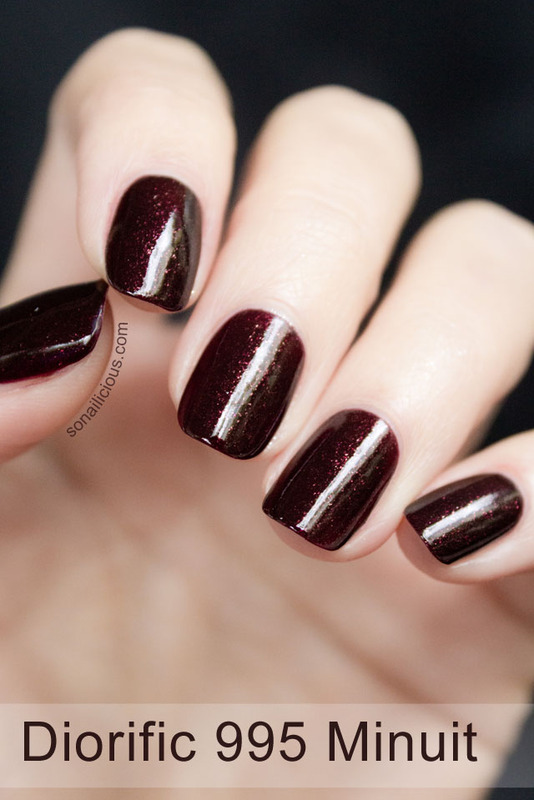 Taboo is cold and dark, with duo chrome, purple and a bright red shimmer. 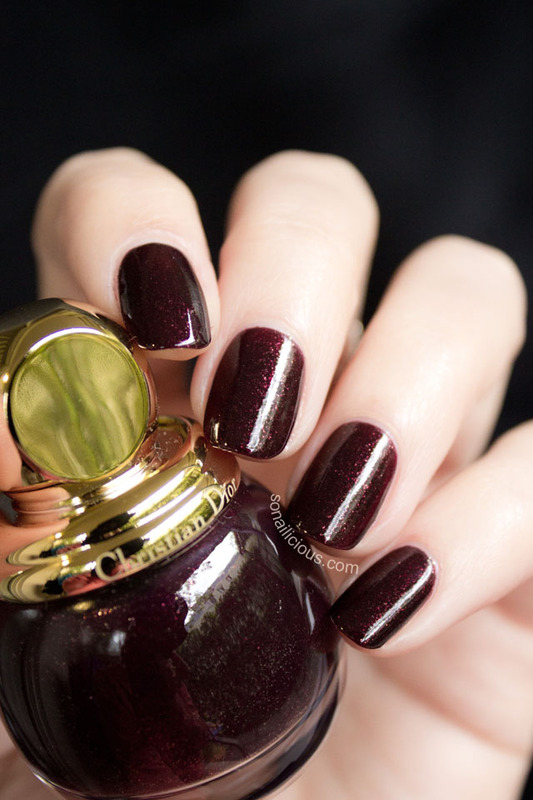 Minuit is a warm deep red with gold undertones. 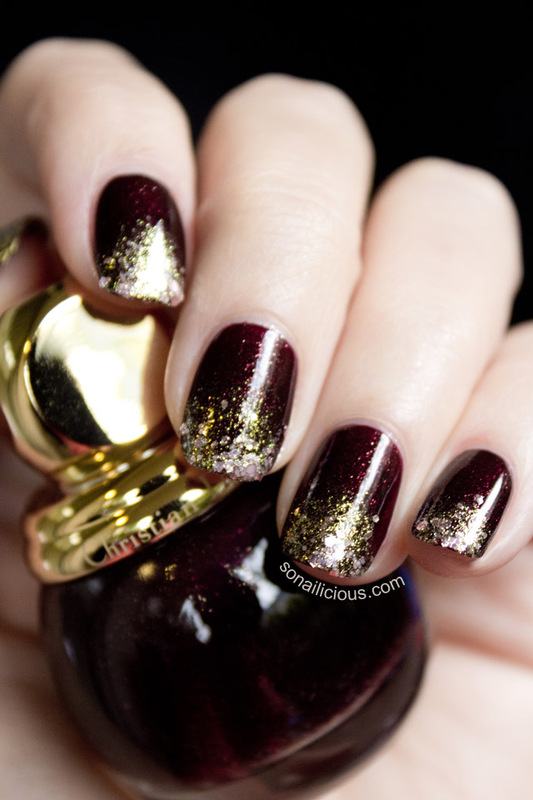 Wearability: with a top coat, Diorific lasted for 3 days chip-free. 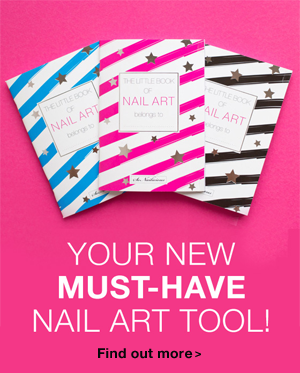 Nail Art: Great for any kind of nail art. Looks particularly beautiful when paired with champagne gold making it perfect for Christmas. 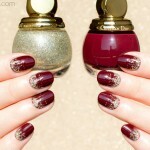 Examples, glitter gradient below or Art deco nails. Used: Diorific Vernis 995 Minuit, Ciate Antique Brooch and Orly Polishield top coat. 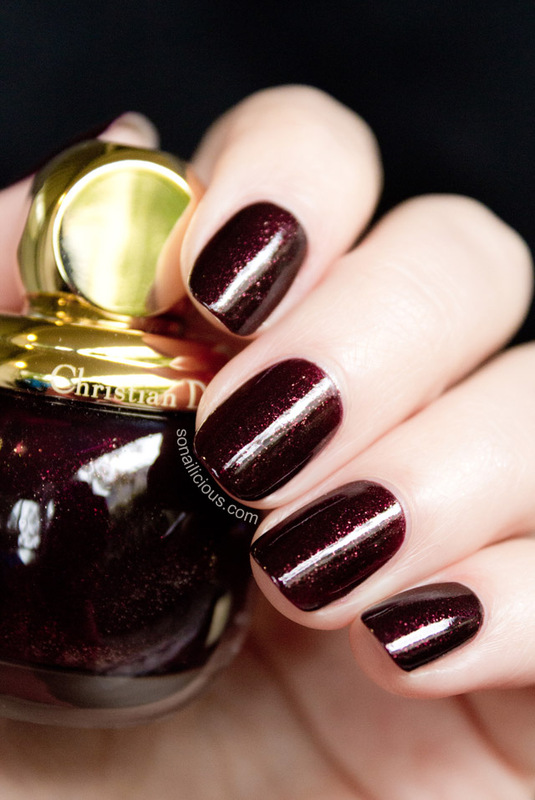 Overall Impression: Stunning, deep red shade perfect for a special occasion and the upcoming festive season. 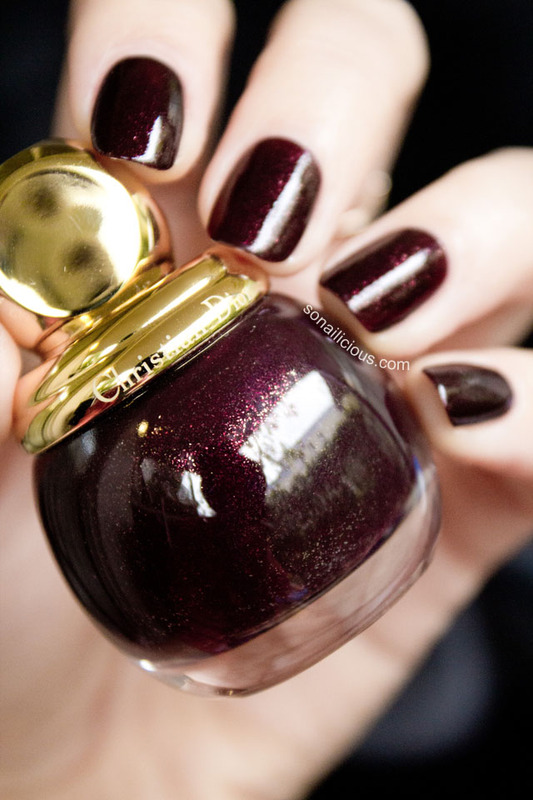 It’s a limited edition shade and the gorgeous bottle makes this a must have for any polish lover. 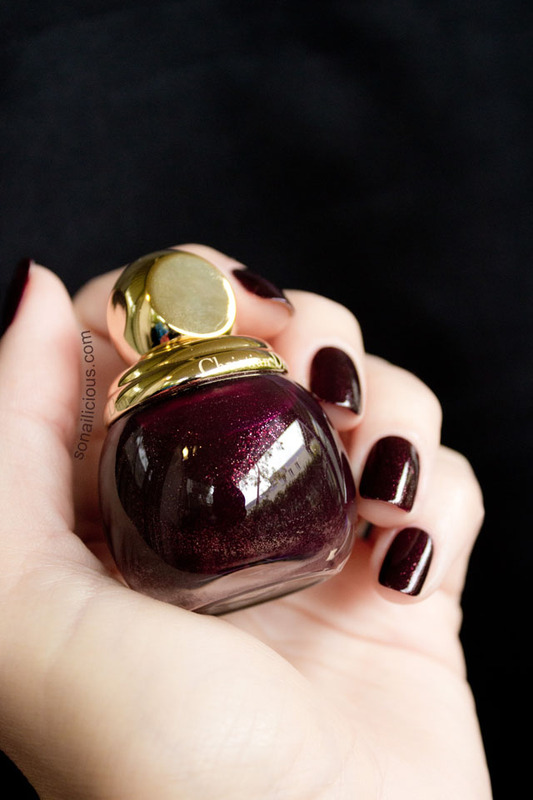 Availability: Diorific Vernis 995 Minuit is available now. In the USA, Canada and Europe – $26.00 here and here. If you’re a lipstick lover, great news! Diorific Minuit has a matching lipstick too. In Australia, $43 via selected Dior boutiques and beauty counters. How do you like the new Diorific nail polish?